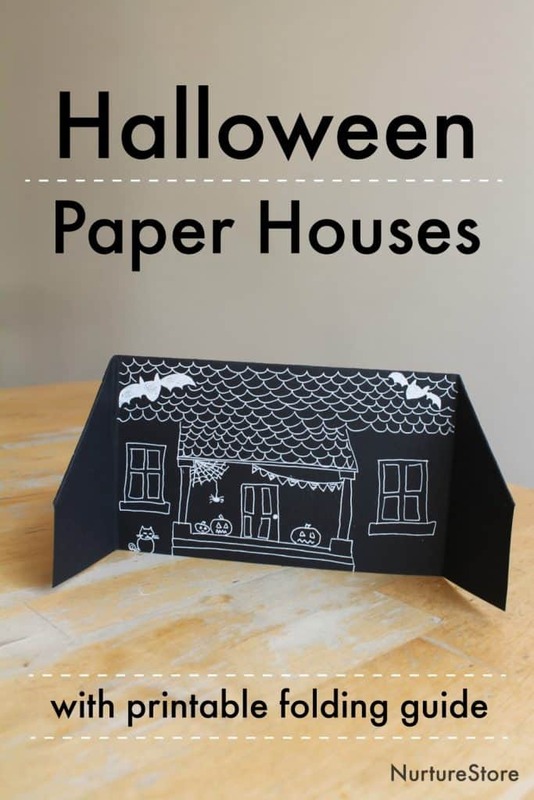 This Halloween art project invites children to use drawing and storytelling skills as they create a 3D model of a house. 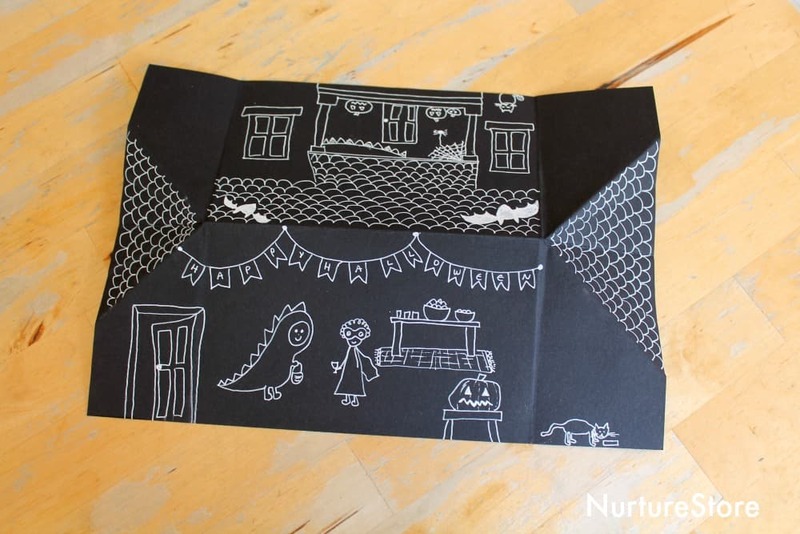 Fold up a piece of black card following the instructions on the folding guide from The Super Fun, Not Scary Halloween Unit. 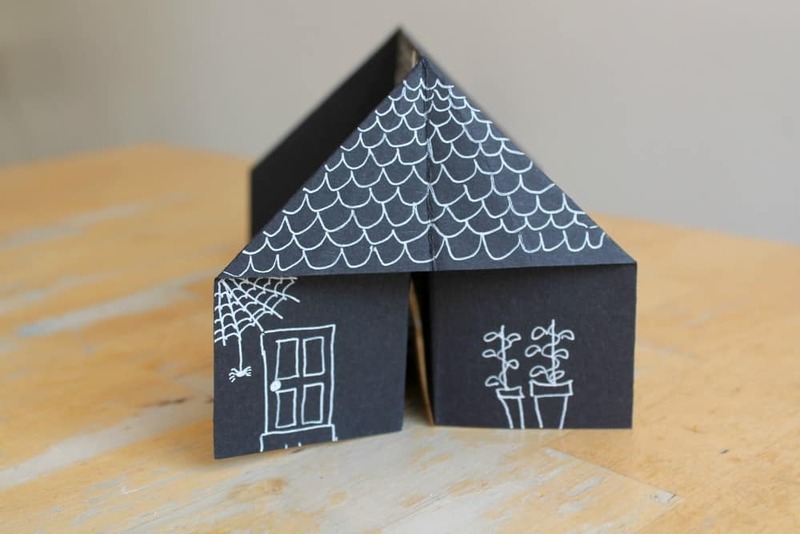 You’ll fold your card to create a house shape with a front, back or inside, and two side panels. 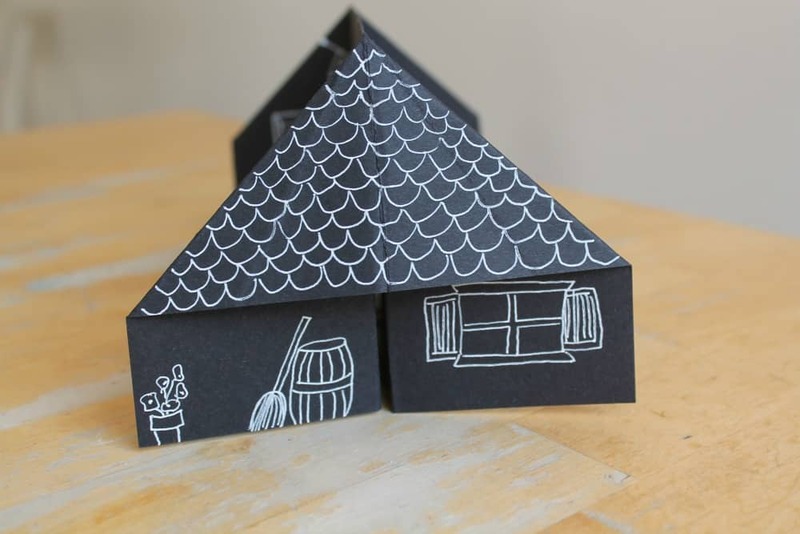 Use a white pen to draw a design on all four sides of your house. Think about what a house would look like when it’s decorated for Halloween. You could draw your own house or your dream house. You might like to draw a roof and porch on the front of the house. Add a front door, windows and a gate. Include lots of little details to make your house really interesting to look at: tables, chairs, doors, windows, decorations, Jack-o-lanterns, pets, cobwebs, a fireplace – whatever you like. Don’t forget to add a design to the sides of your house. You can use your house as a decoration. You might like to use your house as a play set. 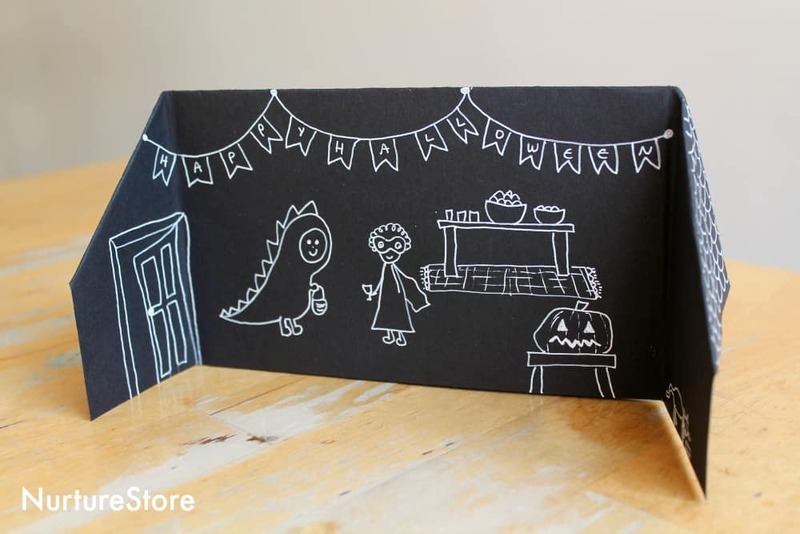 You could draw people in Halloween costumes on another piece of card, cut them out and use them as puppets. 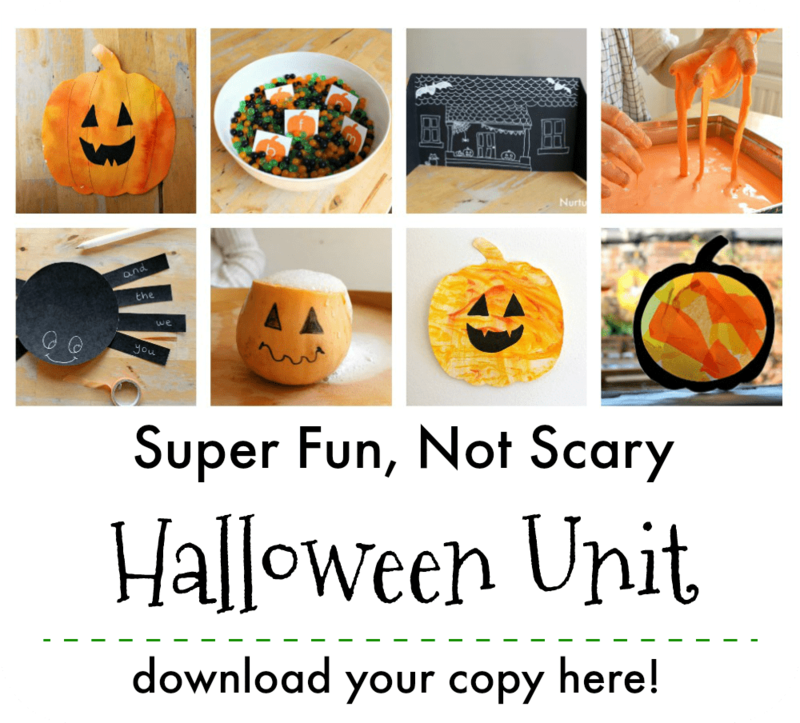 They can visit your house to trick-or-treat or come to your Halloween party. 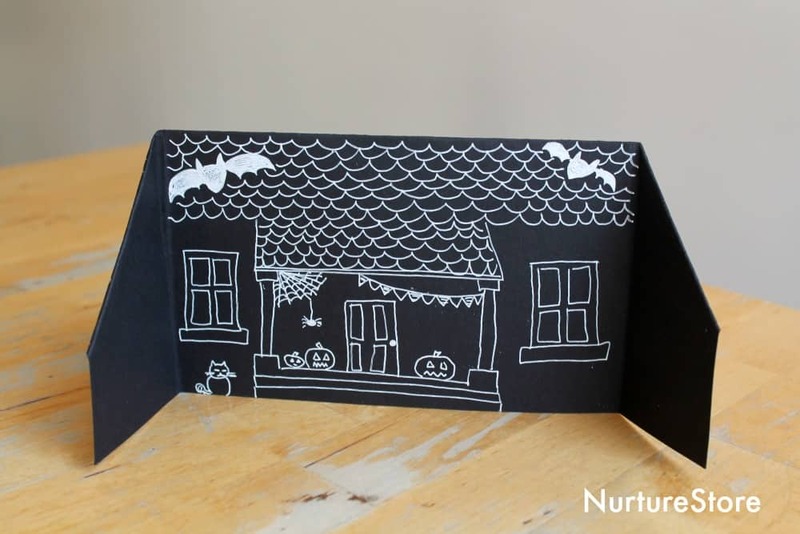 You can use this simple set to help children prepare for trick-or-treating. Practise how you might knock on a neighbour’s door and politely trick-or treat. How do you do it graciously? What would you say if you are the host of a party, to make your guests feel welcome? You can use the play to help children anticipate the social situations of Halloween and follow the polite etiquette of the festival.